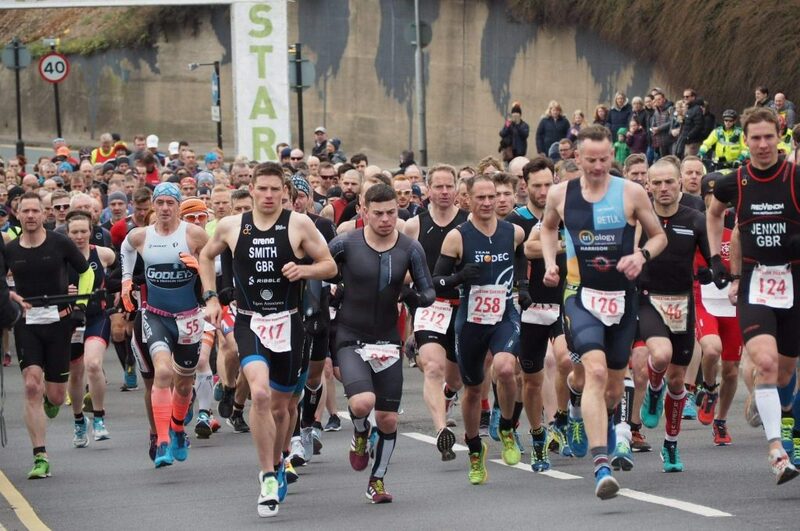 “I really enjoyed the Stockton Duathlon Festival in both 2007 and 2018 when I finished 7th and 2nd respectively. I think its great the Stockton Council really gets behind the event with road closures to facilitate safe and exciting racing, and putting up a good prize fund for the standard distance race to draw in quality competition. 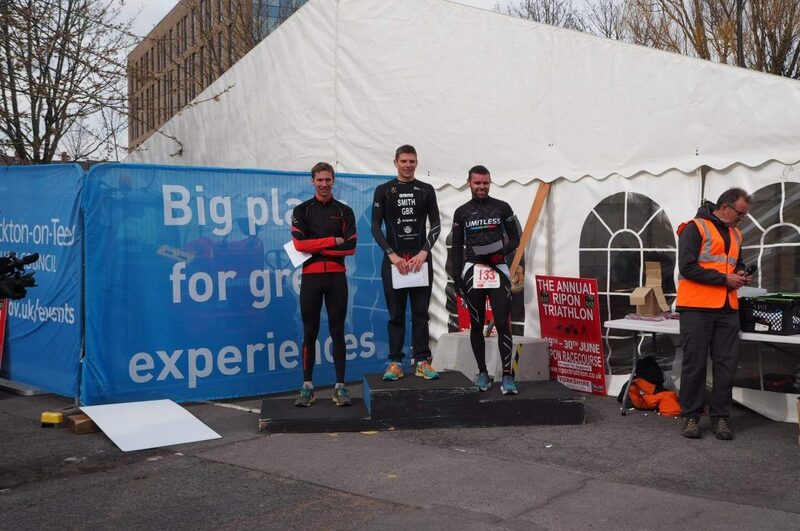 In 2019 there were qualification slots up for grabs for the GB Age Group team at both sprint and standard distance and a novice race on offer, so the event was as popular as ever and there was a strong field in the standard distance race which I competed in (10km run/40km bike/5km run). I had travelled up to Stockton with a close friend on the Saturday afternoon which gave me a chance to familiarise myself with bike course and check out the run route which had changed slightly from previous years. 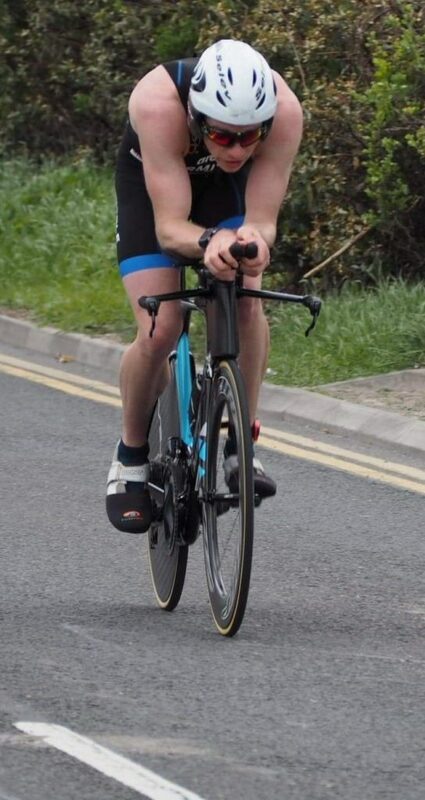 I’ve been running well recently and over the past couple of months have done some good time trial specific bike sessions on my Watt Bike; I’d had a massage on Thursday to prep the legs and now I was ready to race. My game plan was all about pacing; the non-draft format meant there were no packs to chase or other wheels to draft off (unlike the elite duathlon champs last weekend) so viewing the whole event as one long time trial I set off on the first 10km run at a pace I knew I could maintain. Quickly four guys moved ahead and I settled into 5th position running at a good intensity but on my own and in a strong breeze. Already encouraged by my pacing I moved up into 4th position close to the end of the 10km run and after a quick transition was out on the bike course. 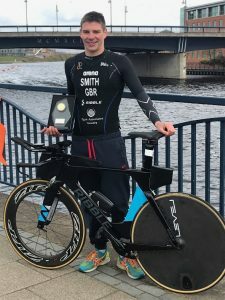 There was a strong, cold wind which was quite gusty when passing buildings and other windbreaks alongside the course, which also had plenty of twists and turns, but I was confident on my new Ribble Ultra Tri bike, I felt really fast and smooth; before long I was up into 2nd position. The six lap, 40km course gave a couple of opportunities on each lap to monitor the gaps to other athletes and as I pursued the leader we would both eye ball each other on the way past. The gap was gradually coming down over the first three laps, then although I still felt I was riding strongly we’d reached a bit of a stalemate and seemed to be lapping at pretty much the same speed for the next couple of laps. 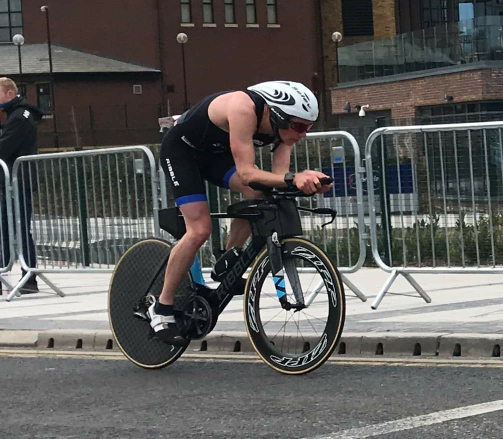 I’d had a gel and drank my drink so I was prepared for the final 5km run but was still conscious of getting every second out of the bike that I could – by the time I hit T2 I’d chipped it down to around 20s. Trainers on quick and out onto the run course, another 10 seconds pulled back in transition and I had him in my sights, I was certainly in the preferable position of the cat in this ‘cat and mouse’ scenario. Aware that it could be easy to underestimate both the length of the second run (“ah its only 5km”) and the effect on my legs of a 10km run and 40km ride, I again concentrated on my pacing and didn’t start pushing to chase too soon. Running quickly but sustainably I started to feel my rhythm and was moving well – after a couple of km the gap started to come down. Now was the time to suffer and I gradually upped my intensity as much as I could until the gap started to close. A couple of times I saw him glance back over his shoulder – he was in trouble and I was starting to fly. It was certainly not easy but I clawed my way back up to him and caught him with not much more than a km to go. I was confident and feeling good but he wasn’t done yet and tried a couple of digs to try and shake me off. I had to bide my time and then inside the last few hundred metres I put my own kick in just before a couple of tight corners close to the finish line, before I knew it I was sprinting to the line to take the win by a mere five seconds. 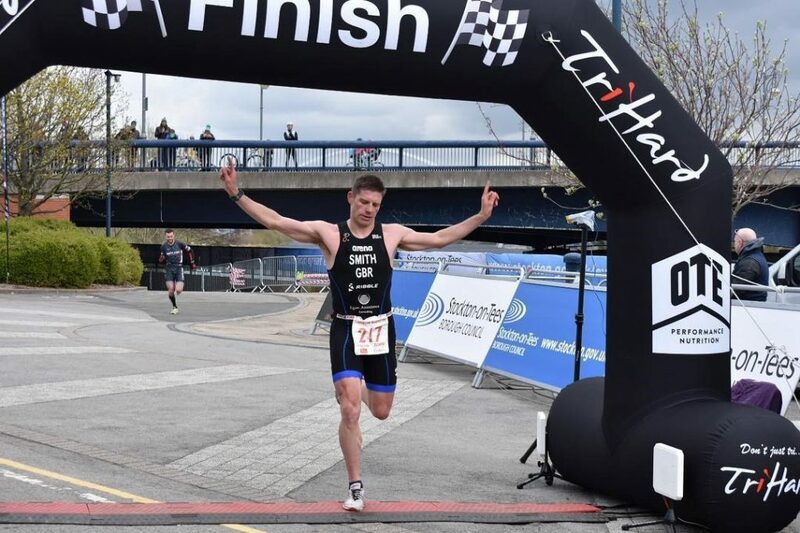 I was really pleased to put together such a good performance with the big bonus being that resulting in a race win against some quality athletes. It was also special to do it with my previous coach in attendance too as I felt I’d put into practice so many of the things we’d worked on during the two years we were a team.